Qualcomm is bringing some premium experiences to its mid-tier lineup with the addition of the Snapdragon 660 and Snapdragon 630 Mobile Platforms. Improved connectivity, enhanced imaging, faster charging, and even machine learning features, in addition to the usual CPU and GPU improvements, help make these 600-series parts particularly interesting. Qualcomm has been aggressively pushing more advanced LTE modems throughout its product portfolio recently, giving at least some of the SoCs in the 600 and even 400 tiers a minimum of Category 7 LTE performance (300Mbps DL / 100Mbps UL) with a Snapdragon X8 LTE modem. But after the debut of Qualcomm’s first gigabit LTE modem—the Snapdragon X16 (1.0Gbps DL / 150Mbps UL)—in the Snapdragon 835 SoC this year, along with its successor the Snapdragon X20 (1.2Gbps DL / 150Mbps UL), Qualcomm is ready to bring even higher performance to its new 600-series platforms. Both the Snapdragon 660 and Snapdragon 630 get the same Snapdragon X12 LTE modem that appeared in last year’s flagship Snapdragon 820/821 SoCs. This is a Category 12/13 modem capable of up to 600Mbps throughput on the downlink (3x20MHz CA, 256-QAM) and 150Mbps on the uplink (2x20MHz CA, 64-QAM). Both the Snapdragon 660 and 630 platforms also support Qualcomm’s suite of RF front-end components too, including TruSignal adaptive antenna tuning with carrier aggregation, which dynamically optimizes signal quality to deliver better voice and data, and envelope tracking technology, which improves battery life and lowers skin temperature by improving power amplifier efficiency. There’s also support for high-power user equipment (HPUE) that helps extend network coverage, and is currently being used by Sprint. Another shared component between the Snapdragon 660 and 630 is the Spectra 160 ISP. While a step down in processing performance from the Spectra 180 ISP in Snapdragon 835, it still supports many of the same features, including hybrid autofocus systems, dual photodiode phase-detect autofocus (2PDAF), better electronic image stabilization for video, and enhanced low-light processing for still images. It can also handle dual-camera setups with Qualcomm’s smooth “optical zoom” feature when using two cameras with different focal lengths. It can also integrate data from both cameras to produce bokeh effects or to improve image quality. Another advanced feature supported by the Snapdragon 660 and 630 is Qualcomm’s Quick Charge 4 fast-charging technology, which was previously only available with Snapdragon 835. Quick Charge 4 promises up to 20% faster charging and 30% higher efficiency than the previous generation Quick Charge 3. The Snapdragon 660, which is a replacement for the Snapdragon 653, is now the highest performing SoC in the 600-series. Like the Kryo 280 in Snapdragon 835, the Snapdragon 660’s Kryo 260 CPU uses four semi-custom Cortex-A73 cores in the “performance” cluster and four semi-custom Cortex-A53 cores in the “efficiency” cluster in a big.LITTLE arrangement. The Kryo 260, however, does not hit the same peak frequencies as Kryo 280, and Kryo 260 uses 1MB/1MB of shared L2 per cluster instead of 2MB/1MB of L2 for Kryo 280. We’ve already seen how well Snapdragon 835 performs, and Snapdragon 660 should not be too far behind. Alongside the Kryo 260 CPU is the Adreno 512 GPU that delivers up to 30% better performance on average than the Adreno 510 GPU in Snapdragon 653, according to Qualcomm. Some of the gain likely comes from a frequency increase (perhaps a lot of it), but it’s still a pretty significant jump, although it should still fall below the peak performance of the Adreno 530 GPU in Snapdragon 820. It supports the latest 3D graphics APIs, including Vulkan, and can power displays with up to 2560x1600 resolution. Another significant addition to Snapdragon 660 is Qualcomm’s Hexagon 680 DSP, which made its debut last year in the Snapdragon 820 SoC and features Hexagon Vector eXtensions (HVX) specifically designed for advanced photo and video processing, virtual reality, and computer vision workloads. This DSP can work on two vector threads in parallel, each containing four 1024-bit SIMD pipelines (a typical ARM CPU core contains two 128-bit SIMD NEON vector pipelines for comparison), allowing each HVX context to work on 4,096 bits/cycle compared to 256 bits/cycle for a single CPU core. The Hexagon 680 also contains four threads for scalar instructions too, each with 4 VLIW pipelines. Using up to two scalar threads and two vector threads in parallel allows concurrent execution of audio and imaging tasks. The Snapdragon 660 supports Qualcomm’s Snapdragon Neural Processing Engine SDK, along with TensorFlow and Halide frameworks on the Hexagon 680 DSP, bringing advanced machine learning and computer vision capabilities to the 600-tier for the first time. 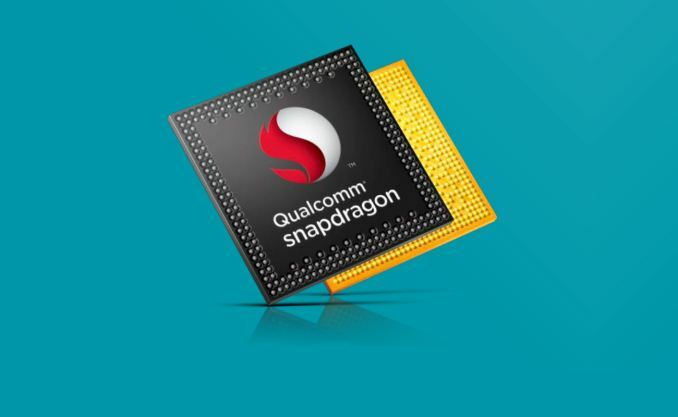 The Snapdragon 630 SoC uses a familiar octa-core Cortex-A53 CPU configuration. 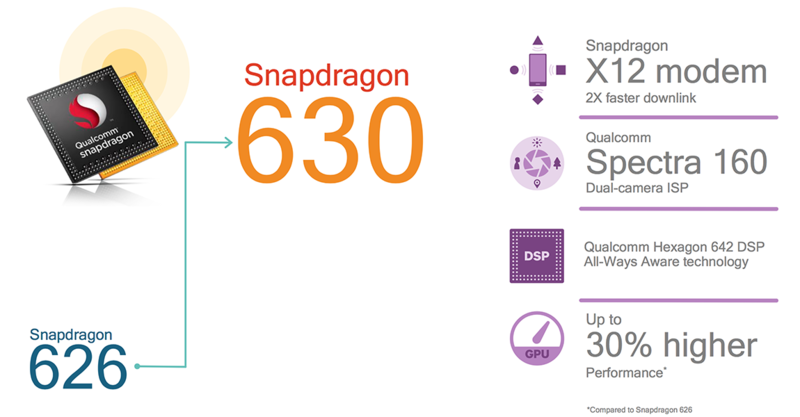 Unlike the Snapdragon 625/626 that it replaces, the Snapdragon 630 has a more distinct big.LITTLE arrangement with four A53s running at up to 2.2GHz (the same as the S626) sharing a 1MB L2 cache and four more A53s only reaching up to 1.8GHz and sharing a smaller 512KB L2 cache. While there should not be much difference in CPU performance and power compared to the Snapdragon 626, the Snapdragon 630’s Adreno 508 GPU performs 30% better on average than the S626’s Adreno 506 GPU. It also supports Vulkan and all of the latest 3D graphics APIs at resolutions up to 1920x1200. 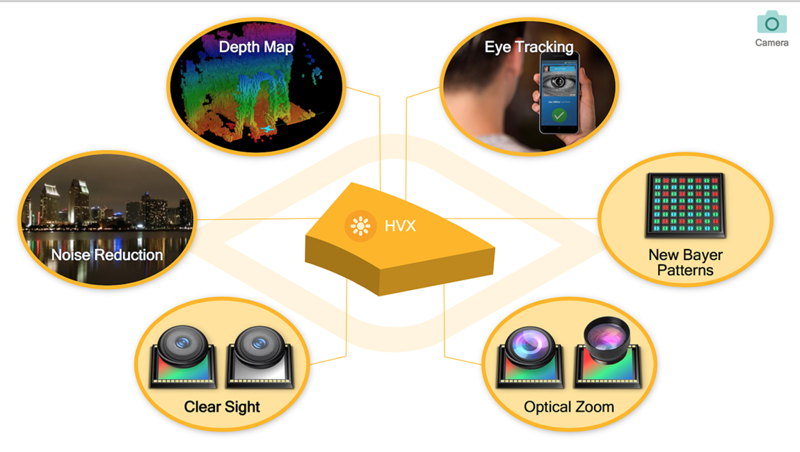 The Hexagon 642 DSP still supports Qualcomm’s Snapdragon Neural Processing Engine SDK for machine learning and TensorFlow, but does not share the Hexagon Vector eXtensions (HVX) microarchitecture of the more powerful Hexagon 680 and 682 DSPs. 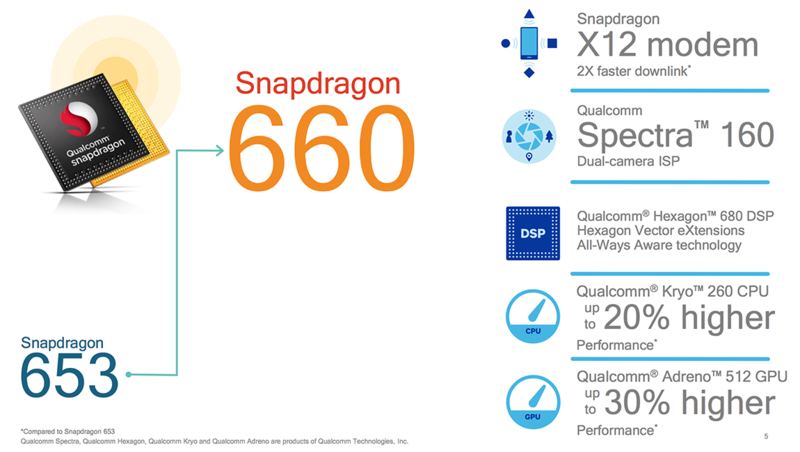 Both of the new Snapdragon 660 and 630 platforms include features and capabilities previously seen only in the premium 800-tier, and also add new technologies like Bluetooth 5 and LPDDR4 RAM support (up to 8GB), which reduces power consumption and improves bandwidth compared to LPDDR3. The Snapdragon 660 sounds particularly compelling, because it appears to deliver a very similar experience to last year’s Snapdragon 820 but, presumably, at a lower price point. The Snapdragon 660 and 630 platforms are pin and software compatible, and they both use the same 14nm LPP FinFET process from Samsung. The Snapdragon 660 is available to partners now and should appear in devices during the second quarter, while the Snapdragon 630 will become available at the end of May and is expected to appear in devices during the third quarter.